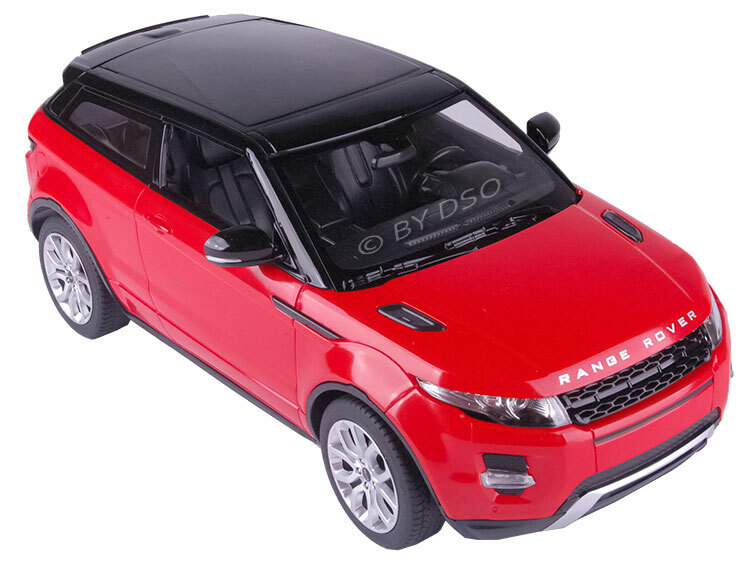 This amazing fully licensed and very realistic looking radio controlled 1:14 scale White Range Rover Evoque will provide hours of entertainment for adults and children. With factory assembled and ready to run with full function radio control forward, reverse, stop, left and right. This Range Rover Evoque also has adjustable front wheel alignment, all independent spring suspension system and a detailed exterior and interior. Range Rover logos on front, rear and wheels and the original style rims and pneumatic rubber tyres this is a great toy for any young person to own. Fully licensed Range Rover Evoque. Batteries are not included. Car size : 35.5 x 14 x 9.5 cm Appox.